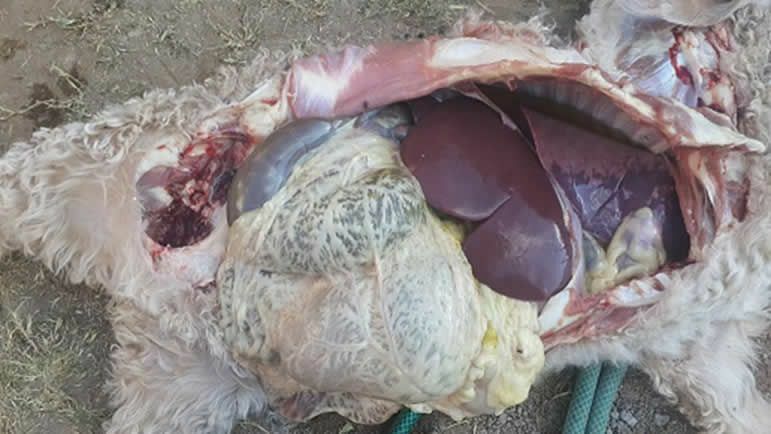 Maedi-visna or also called Ovine Progressive Pneumonia or Graaff-Reinet disease. South Africa was thought to be free of the disease until the virus was isolated from sheep in 1986. Serological survey of sheep after diagnosis in 1986 found a significant prevalence of the virus but it had appeared to have lost its pathogenicity. The virus had not been isolated from Angora goats in South Africa before. In April 2016 a case of pneumonia in Angora goats was investigated by the SAMGA vet in the Murraysburg district. 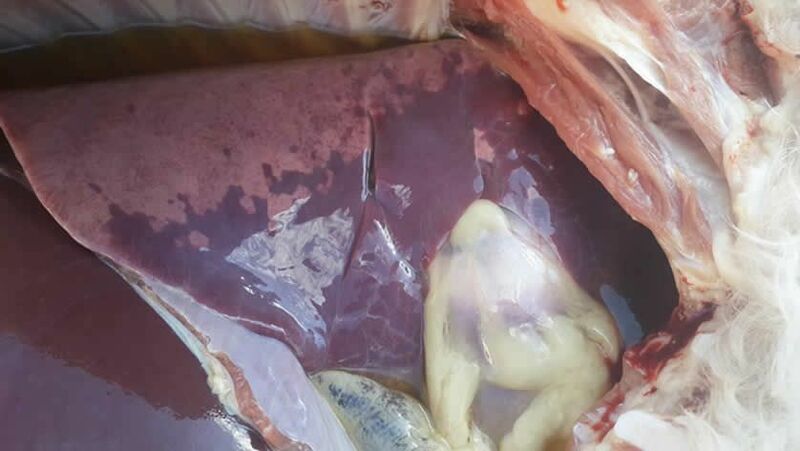 A diagnosis suggestive of Ovine pneumonia (Maedia or Graaff-Reinet disease) was made by Dr W.Botha by histopathological examination of samples sent to Idexx laboratory. The Angora goat flock was subsequently serologically tested (n=200) and no positive cases were identified. The mastitis and arthritis form of the disease is rarely seen. Transmission occurs under conditions of close contact. Droplet infection via the respiratory route is the most likely route of transmission. Transmission via the colostrum has also been demonstrated and transmission by blood sucking insects could be possible? The virus is able to persist latently and infected animals are carriers for life. Unsteady gait, especially the hind limbs resulting in stumbling and falling. Swollen joints and mastitis have been reported in sheep. In advanced cases the lungs do not collapse when the thoracic cavity is opened and impression of the ribs may be maintained. Thickening of alveolar septa (infiltration of lymphocytes, monocytes and hyperplasia of smooth muscle). This leads to obliteration of the alveoli. Transformation of alveolar epithelial cells to cuboidal cells can be confused with jaagsiekte. How does the virus remain in a carrier state? The primary target cells for the virus are leukocytes- monocytes. After the initial infection the host mounts an immune response which eliminated cell free virus but can’t destroy infected cells. The virus then remains in infected cells and in this form the virus can spread to all tissues of the body. Test and slaughter out policy has been followed in the past. Maedi-visna (D.Verwoerd, R.Tustin and A-l Williamson. Infectious Diseases of Livestock.